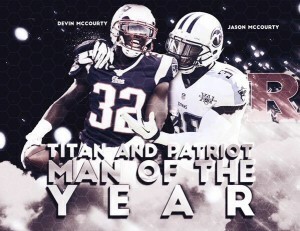 On February 16th, Devin and Jason McCourty are sponsoring a blood drive as part of their Tackle Sickle Cell campaign. The Blood Drive will run from 10am-3:30pm at RWJUH. This year, two great events will be combined into one: the Tackle Sickle Cell 5K and Heel to Heal walk! The Run/Walk is for all ages and will be followed by a celebration including music, food, and fun at the park. New England Patriots All-Pro safety, Devin McCourty, and Corner Back, Jason McCourty, are hosting the 2018 Tackle Sickle Cell Casino Night in Boston on Monday, October 22, 2018.